Based on the IGI UrbanMapper, IGI introduces the all-new IGI UrbanMapper-2. 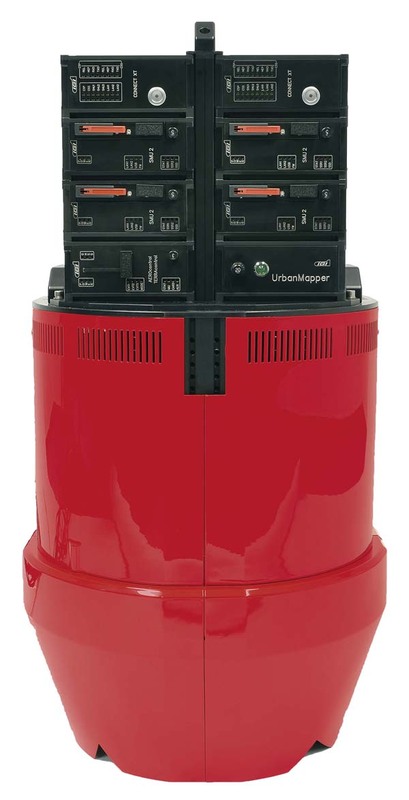 The IGI UrbanMapper-2 utilizes the new 150 MP Back Side Illuminated, BSI-CMOS technology to provide ultrahigh resolution imagery. With the latest BSI-CMOS technology, a shutter speed up to 1/2000 of a second and the high dynamic range of 83dB, the IGI UrbanMapper-2 is designed to produce brilliant imagery even under challenging light conditions. The system off ers outstanding performance for dense image matching with up to 0.5 sec image repetition time.